In the past , the Japanese huchen, ITO was not considered as the target of HONRYU fishing because of its too large size. However, thanks to the recent development of HONRYU-ZAO for salmon, this species is now one of the biggest target of HONRYU fishing. ITO is called the ONI of HOKKAIDO. In the Chinese character, ITO is 魚鬼, it means ONI-fish. At the last test of our rod, we went to Hokkaido, only where ITO lives now. We spent 7 days for this fishing but in most of the days we suffered from bad weather, too strong wind, rain and too muddy water. We almost gave up but on the afternoon of the last day, it became finally good weather except still muddy water. Suddenly, the indicator stopped. Though I thought it's just snag, as soon as I lifted the rod tip a little, the fish started running slowly. To be honest, the run was not so speedy, but the power of this fish made the rod fully bent soon. After fighting, finally 86cm, good sized male ITO was caught. Though there was a old scar on his mouth, his condition was good and he was a tough fighter. After releasing him, I thanked to him, this river and the mother nature. The end of the final day was as like a drama. As you know, this species is critically endangered. It is limited to the specific area where they lives in Hokkaido. If you fish ITO, care the fish carefully and release them. 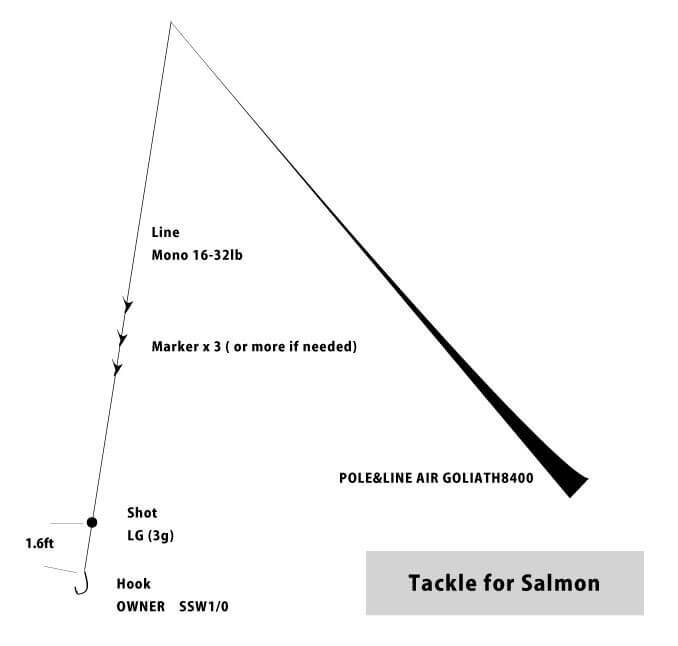 The tackle of ITO fishing is similar to that of salmon fishing (see the below), but a bit stronger rod and line is needed. 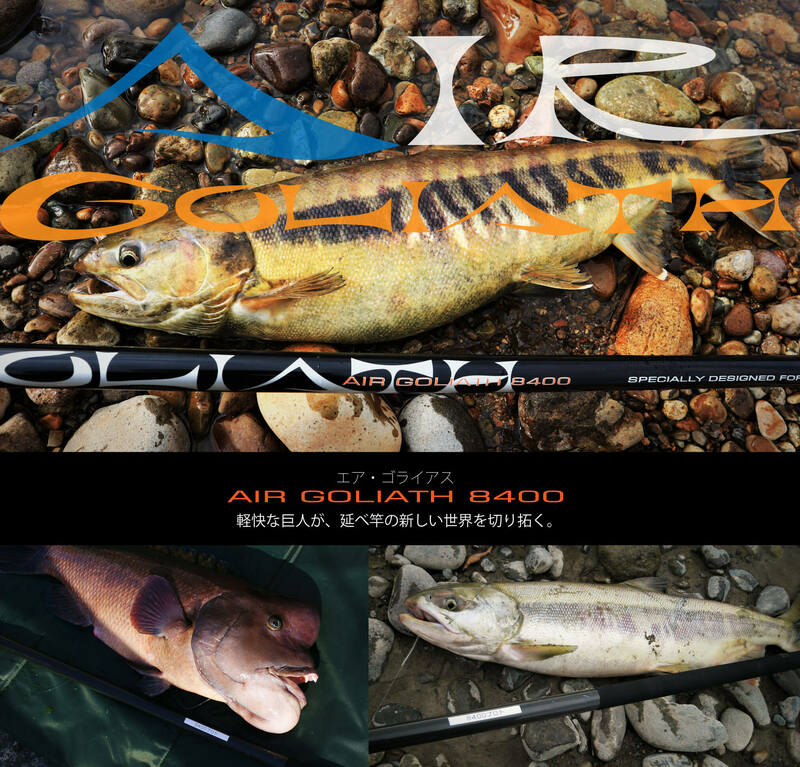 AIR GOLIATH8400 is the best rod for monster sized ITO.